Embrace Washington desires for the faith community to stand in the gap for the overwhelming and tragic needs of children in our state’s foster care system. Through this awareness, their hope is to raise up caring and committed people, connected and supported through their faith community, to serve and embrace the very children closest to God’s heart—the vulnerable. Over the last 20 years, the number of quality, caring foster homes in the Spokane community has dropped significantly, while the number of precious kids entering the system has increased.  Click here to visit the Embrace Washington website. This is a simple way to comfort a foster child while they wait in a DSHS office to be placed in a home. It’s also a great way to involve your own family in caring for less fortunate kids in your area. Volunteer at your local Child Welfare office. Help spruce up your local office or provide much needed encouragement to DSHS Child Welfare Staff. No time, talent or gift too small! Become an office mom or office dad. Ensure that no child waits alone while in a DSHS Child Welfare Office. Volunteers entertain, care for and distract children in the office while their worker looks for a placement or has a meeting. Help transport children in foster care to spend time with their birth parents and siblings. In this process a caring relationship can be formed with the child.